Mobile carriers are found everywhere providing people with the best network to either chat with their loved ones or attending a conference call from office. Mobile phones have become an essential part of our lives; we need them where ever we go. Without it you feel incomplete, as if you have forgotten something important at home. To hear with clarity, to be able to receive messages on time, to have a better video call, you need a better network. Here is list of top 10 mobile carriers that are used worldwide. 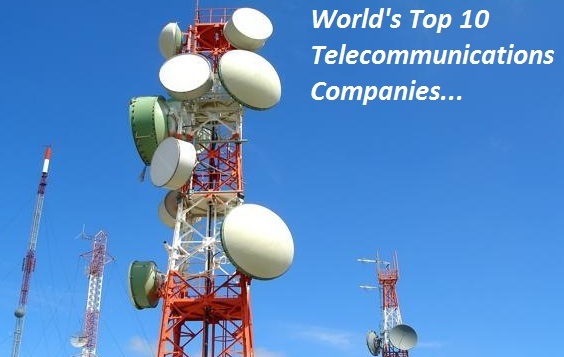 One of the next world’s leading telecommunications groups is Vodafone Group Plc and they are active in some particular places in Europe, Africa, Asia Pacific and Middle East. Their transmission data is of 982 petabytes (PB) i.e. 1,000,000 gigabytes (GB) and have 353 million users. Vodafone Group Plc believes that mobile technology plays a vital role in a society’s most complex challenges; related to education or healthcare to empowering of women. Their Policymakers are more focused on delivering the benefits of socio-economic with digital infrastructure by binding them. New York was the place where Verizon Wireless was initiated in year 2000 with a huge merger of Bell Atlantic Corp and GTE Corp. Currently, Verizon is America’s largest 4G LTE wireless network and even the nation’s broadband network. They have 112.1 million connections all around the world. Verizon was the one to acquire Vodafone’s 45% interest in Verizon Wireless for $130 billion making it better equipped for the changes in competitive dynamics. Originally AT&T is from the times when Alexander Graham Bell invented the telephone in 1876. From that day onwards, AT&T has been serving people all around the world with next-generation TV, advanced mobile services and smart solutions. They are known as the fully integrated solution provider, thus they stand alone. They have even started to launch airG products along with their services. Their main aim is to connect people with the world, everywhere they live, play or work and to do better than anyone else. Their transmission data carries 107.7 petabytes (PB) of data traffic serving nearly 355 million people in North America. AirG was established in Canada and coming forth in mobile software industry as a developer. Its services and products have been released and more than 100 million users have used it. AirG reviews were positively reported that AT&T has started launching their products as built in applications in their mobile phones. NTT DOCOMO is one of the prestigious mobile operator company in Japan, established in 1992. Their name is pretty unique and the name DOCOMO comes from the phrase “do communications over the mobile network”. DOCOMO is also derived from a compound word dokomo, meaning ‘everywhere’. DOCOMO provides you with innovative, secure and convenient mobile services to nearly 68 million users. They are now the world-leading developer of 5G networks and they plan to continue more in early 2020s. Telefonica Group is more into modernization and try to solve challenges that are posed today in our society. To overcome these challenges, they are offering us the facilitations of a secure communication with others and by stating the Technology in such a way that it benefits us more towards a better life. They are serving with an immense sprit to more than 372 million users in 21 countries. Deutsche Telekom initiated their operation from Germany and slowly increased their subsidiaries all around the world. It now operates in nearly 50 countries, having more than 156 million clients, 29 million network lines and 18 million broadband lines. Their main aim is to provide networks and connections to all the people to bring their loved ones close to each other. France Telecom Group was established in year 1988 and was rebranded as Orange S.A in year 2013. It is a well-known French multinational telecommunication corporation in France. They have more than 263 million users worldwide. France telecom Group was listed among the Euro Stoxx 50 stock market index. Today Orange unites millions of men and women all across the globe as they work together to make the digital life easier and more useful. In terms of subscribers, America Movil is the third largest in the world. It has operations in 18 countries in America and 7 in Europe. This mobile carrier is mostly used as it has more than 289 million mobile customers and provides coverage over a population of 892 million. They are trying to provide different opportunities to their clients. Sprint is also originated in America and the 4th largest wireless network. It provides wireless services and is a major global internet carrier in entire United States. Citizens of USA has more options to which mobile carrier is suitable for them and most probably go for the one having more offers and benefits. Sprint serves 58.4 million users, which is less than the users of America Movil Group. Sprint goes by many brands such as Virgin mobile, Boost Mobile or Assurance Wireless.